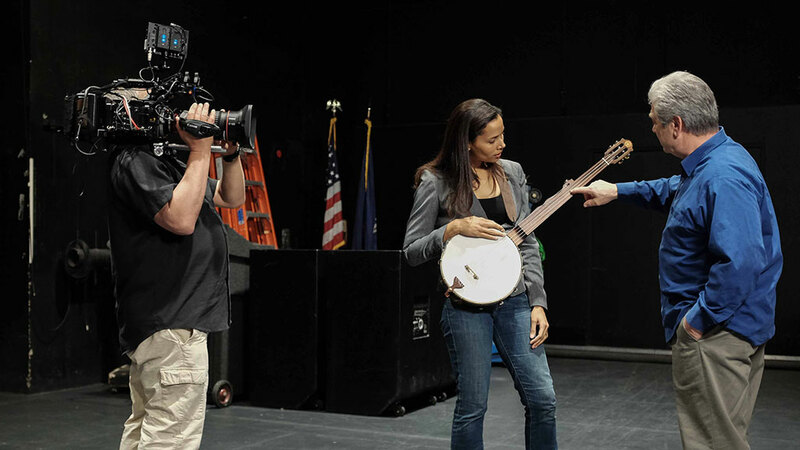 In April, Craft in America had the pleasure of filming Rhiannon Giddens at The Egg in Albany, NY. 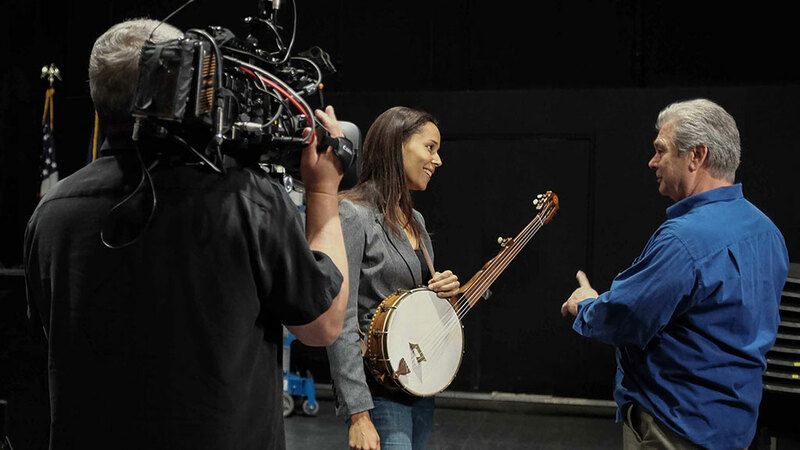 Before her performance, she sat down for a quick interview with Executive Producer/Director Carol Sauvion and chat with banjo maker Jim Hartel about her banjo made by Hartel. 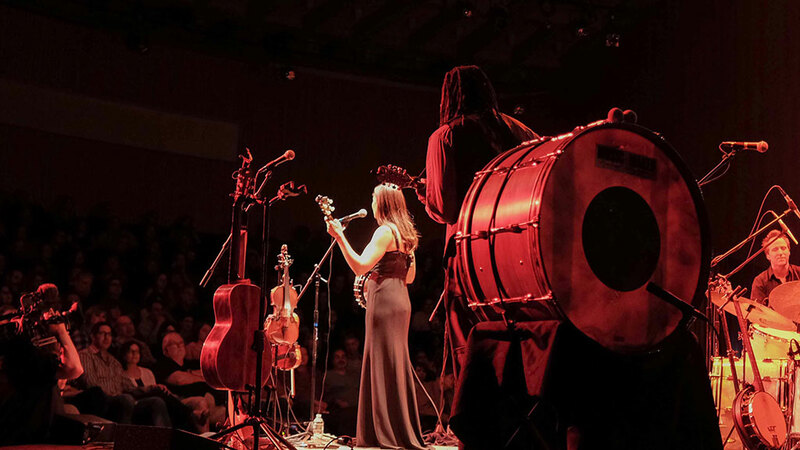 Here’s a few reviews of her music. 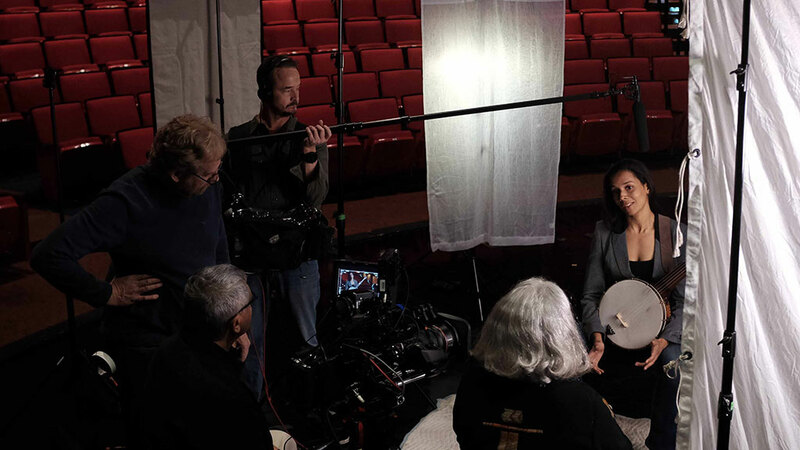 The Craft in America crew filming for Music in New York State.